When NAACP Salt Lake branch President Jeanetta Williams called Alain Villa to the podium in the grand ballroom of the downtown Sheraton, he felt it was a dream. Villa, a Salt Lake Community College mechanical engineering student and youth mentor, received the SLCC/NAACP scholarship last week during the annual Dr. Martin Luther King Jr. Memorial Luncheon. “I come from [a family of] hard workers. We’re not doctors or lawyers — just really hard workers for our families so our kids can work with their brains and not with their hands,” Villa said in his acceptance speech. Alain’s mother, Magdaleno Villegas, dreamt of a better life for her family. As a single working mother in Compton, California, Villegas was concerned about seeing her youth exposed to the peer pressures of drugs, gangs and violence. “Since he was little, he was really good. I didn’t want him to grow up with all the violence,” Villegas says. She knew she had to take drastic steps to change their circumstances. Villegas had heard Salt Lake City was a “really nice city” to raise a family, and was willing to move — and take a lower paying job — to get away from the rough streets where she lived. With the help of a cousin in Utah, Villegas relocated her family eight years ago. She says her son adjusted quickly to the Utah lifestyle and soon made friends, got involved in swimming, and became a youth volunteer. Villa feels he has come a long way from his Compton roots. He says he didn’t have a male role model or anyone else to look up to, except his mother. He says he set goals for his life and developed a passion for education. 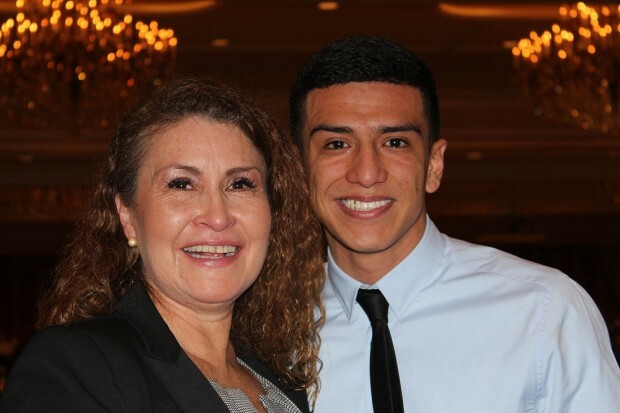 As Villa continued to excel in school in high school, he wanted to continue to learn more. While flipping through his high school social studies book one day, he saw the face of a little boy in an oversized sombrero in the middle of a collage of students. He recognized himself as the little boy and all he had experienced in Compton. 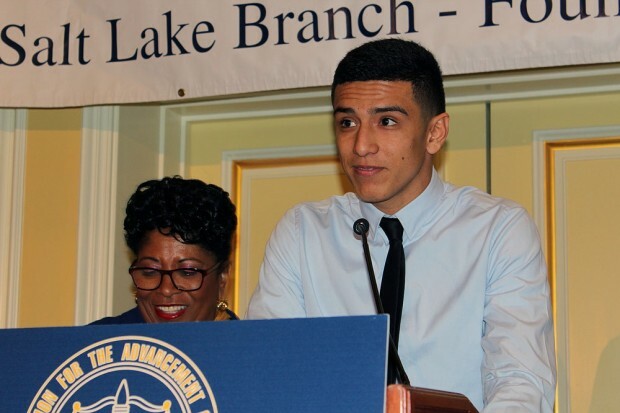 Villa believes he couldn’t have done well in school without the help of several faculty. In his acceptance speech, he specifically mentioned President Huftalin as always having an “upbeat attitude” and thanked many of his SLCC advisors and mentors for their support. He also says he is grateful to the advisor in the TRIO program who urged him and helped him apply for the scholarship. Villa said he had just had his birthday and says, since it just two days away from Dr. King’s birthday, it is always a reminder keep the dream alive. He also encourages other dreamers to keep on dreaming.